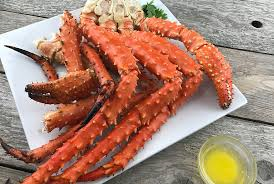 Norway King Crag is the market leader in fishing King Crabs from Norway. Crabs are gently caught in pots and transported live to their tank facilities. 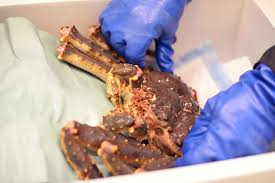 The House of Fine Foods works directly with Norway King Crab by offering our customers LIVE King Crabs. Each Crab is tagged with an original ID and once arrived in Hong Kong are stored in our specially designed tanks offering our customers fresh live King Crabs daily. Now in season LIVE Langoustine. Maintained in specifically designed tanks at our warehouse ensure these beautiful creatures remain live and healthy until delivered to our customers direct. The Lobster Pot has been supplying top quality fresh sustainably sourced seafood for 65 years and is run by the third generation of the Wilson Family at Church Bay on the Isle of Anglesey. The House of Fine Foods offer beautiful LIVE Blue Lobsters in various sizes. Weekly delivery and gently stored at our tanks at our facilities ensure we offer our customers the freshest live blue lobsters. Effelle Pesca is a leading supplier of fresh shellfish from Italy. With weekly deliveries and stored in specially designed tanks - The House of Fine Foods offer LIVE Mussels and Clams from Effelle Pesca all year round.